Rama or “Babale”, who will the public believe? Last week started with the publication by the Democratic Party of an audio recording, through which it claimed that a former smuggler had talked to the Interior minister’s brother about sending a quantity of cannabis to Italy. Then, the former smuggler who appeared in the recording (Albert Veliu known in Vlora as “Babale”) declared that the recording that was made public (between him and the Interior minister’s brother) was authentic. On the other hand, in a speech delivered in front of the socialist parliamentary group, Edi Rama declared that he had sent the recording to a specialized agency outside of Albania and that this agency had replied that it was convinced the recording was not authentic. Then, during the course of the week, we heard declarations of all sorts by politicians and journalists. They either supported “Babale’s” version or Rama’s version. But, these two versions are quite the opposite and there cannot be anything in the middle. Either the former smuggler was telling the truth, or Rama was telling the truth. If this was the case in a country with a more consolidated rule of law, it’s the justice system the one to have the last say. But, in Albania, we have had similar cases where foreign experts have declared that a video or audio recording has been authentic, while domestic experts have claimed the opposite. We have also had a case when the FBI has declared that a Republican Guard officer had open fire toward a protester who had his hands in the pocket during a protest in the boulevard, while Albanian experts have concluded that the bullet had ricocheted against the… pine trees. Based on this Albanian experience, the public opinion may not be entirely convinced by the verdict that will be given by the justice system in this case (whether the former smuggler or Rama has been telling the truth). If the justice system concludes that the former has been telling the truth, SP’s supporters will say that the justice system is still controlled by Berisha, as the current prosecutors and judges were appointed during his time in office. Otherwise, DP’s supporters will say that Rama is now controlling the justice system. In other words, the public opinion will be divided between the former smuggler, who goes by the name of “Babale”, and Rama. But can we determine the proportion of the division of the public opinion in the duel between Babale and Rama? 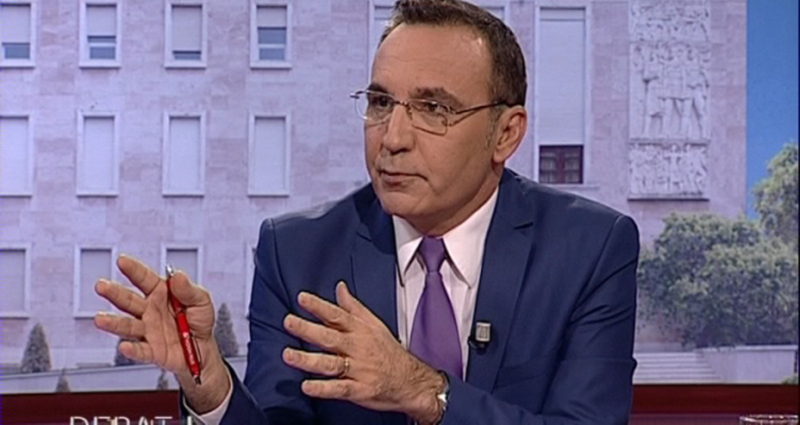 In an opinion poll conducted by one of the most followed Albanian internet sites, visitors were asked: “Do you believe Albert Veliu’s testimony, which was made public by the Democratic Party?” Two thirds of the respondents answered this question with a “no”. Meanwhile, only one third of them believed the testimony given by the former smuggler. This online survey has two statistical problems. First, its sample represents only the visitors of the internet page. Secondly, the answer to the question had only two options; “yes” or “no”. Normally, such questions should also have a third option; “I don’t know”. This option also offers those people who are not sure if something is true or not to have their say. Due to the reasons given above, it cannot be said if statistically, two thirds of Albanians believe Rama and one third believe the former smuggler. Nonetheless, given the fact that the internet page in question belongs to a national TV network, which has been very critical to the government in the past few months and the fact that the number of participants in the online voting has been high, we might think that the number of Albanians who believe Rama is greater than those who believe “Babale”. Meanwhile, the media battles that take place between the majority and opposition (in countries where both of them exist), are made for votes. So, what sort of effect will the media duel between Babale and Rama have on the votes? A survey that I conducted a day before this duel started, indicated that the SP had around 80 thousand fewer decided voters than in June 2017, while the DP had 75 thousand more than the low levels registered in June. However, the SP was still 155 thousand votes ahead of DP. After I carry out the next survey in June, I will be able to test the effect that the duel between Babale and Rama may have on the number of votes.